Looking for super-awesome, official Charlie and the Chocolate Factory clothing and gifts? 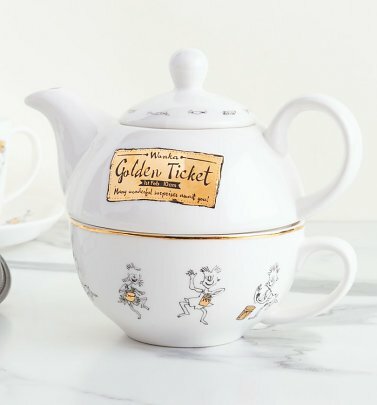 Here at TruffleShuffle, we have JUST the golden ticket! Roald Dahl was inspired to write his 1971 tale of little Charlie Bucket and his adventures inside the chocolate factory of eccentric chocolatier Willy Wonka from his own experiences of chocolate companies during his schooldays. Chocolate makers Cadbury and Rowntrees would send chocolate samples to school children for their thoughts, and would also try to steal trade secrets by sending spies into the other's factory, resulting in each keeping their processes top secret! If you love Roald Dahl's captivating and heart-warming tale and you love chocolate (as if we have to ask!) 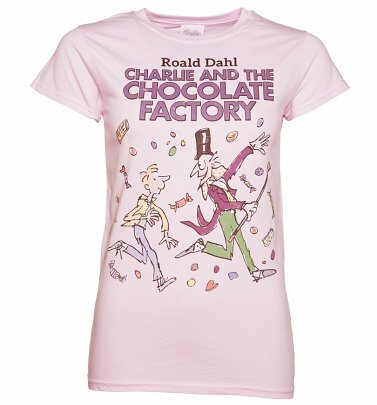 you'll definitely be sweet on our Charlie and the Chocolate Factory T-Shirts from Fabric Flavours, for both kids and big kids alike, which feature Quentin Blake's charming illustrations. 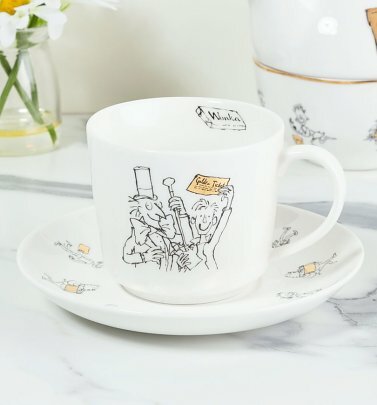 Or discover our truly scrumptious gifts, like our Charlie and the Chocolate Factory prints, Chocolate Making Set and mug. Tasty!